Halloween, the night of October 31, that the kids in the neighborhood dress in costume and solicit candy or other treats door-to-door will soon be here. 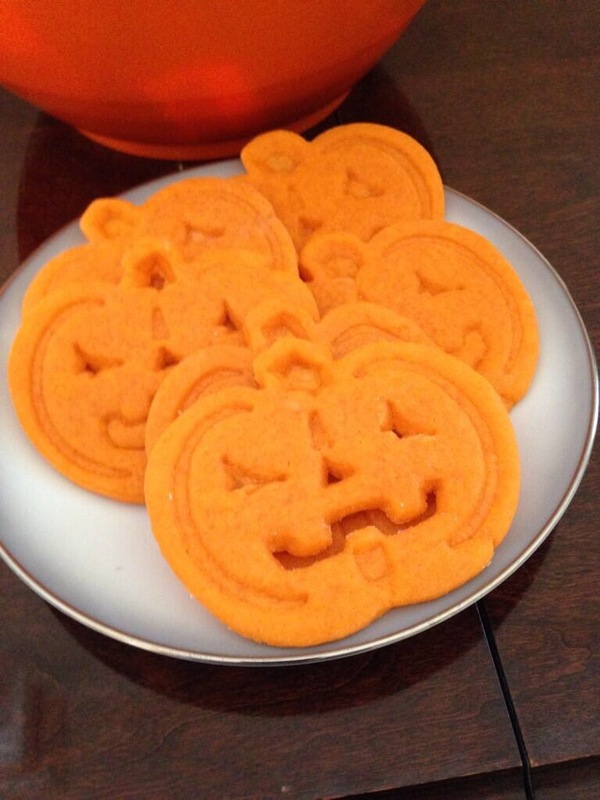 So it is a perfect time to make sugar cookie cutouts in the shape of jack-o’-lanterns. It’s easy to transform a basic sugar cookie dough into delightful Halloween treats. 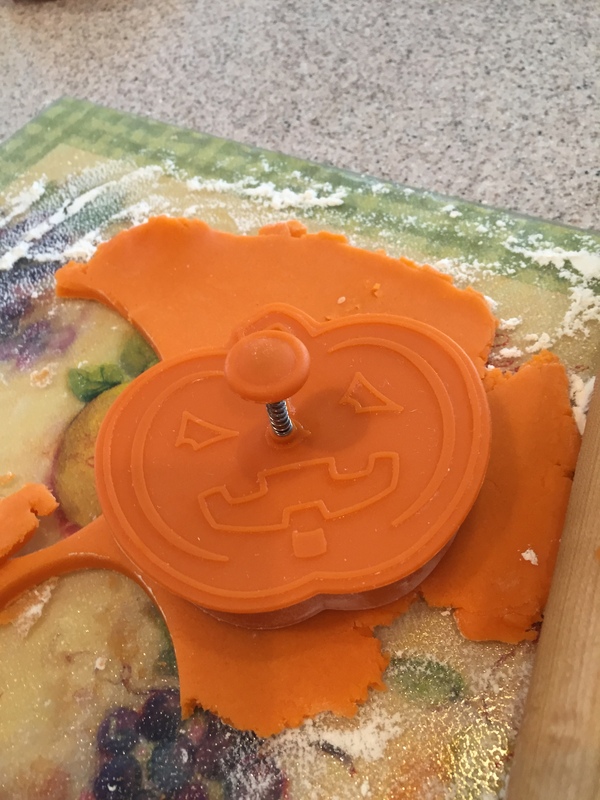 Using cutters shaped like the jack-o’-lantern or your favorite spooky cookie cutter you can cast a magic spell over you family’s Halloween. 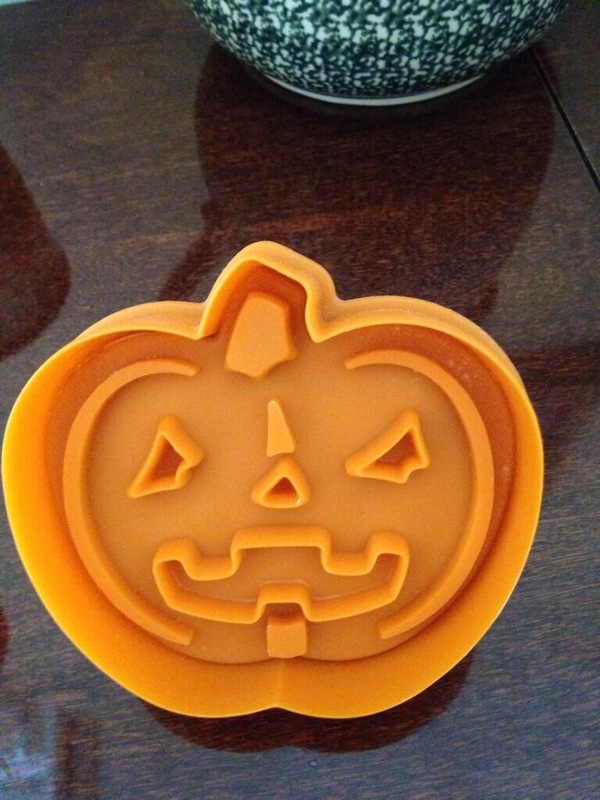 The jack-o’-lantern is my favorite symbol of Halloween so that is my choice of cookie cutter. “The jack-o-lantern actually started from an old Irish folk tale, based upon Stingy Jack who liked to steal from his friends and play mean tricks on his family. When Stingy Jack died he was not allowed into heaven but was forced to wander with only a turnip with an ember as its light. So began the tradition to use a hollowed-out pumpkin in which holes are cut to represent facial features and lit with some sort of light, the jack-o’-lantern. I discovered the recipe for this cookie from a 2002 Taste of Home Magazine but the same recipe is available on a lot of recipe web sites. The cream cheese adds richness to a classic sugar cookie and the cookies practically melt in your mouth. The recipe below is only slightly varied from the one in the Taste of Home magazine. In a bowl, cream butter, cream cheese and sugar. Beat in egg yolk and extract and then add the food color. Combine the flour, salt and baking soda; gradually add to creamed mixture. Cover and refrigerate for 3 hours or until easy to handle. On a lightly floured surface, roll out dough to 1/8-inch thickness. Cut with your favorite cookie cutter dipped in flour. Place 1 inch apart on baking sheets lined with parchment paper. Bake at 375° for 8-10 minutes or until edges begin to brown. Cool for 2 minutes before removing from pans to wire racks. Tips for making the cookies: If the dough comes out of the fridge too hard, just let it stand for a while until easy to handle. And if you take too long to make the cookies and it becomes too soft, put it back in the fridge to let it chill. Also, make sure the dough is on a well floured surface for rolling and dip cookie cutter in flour before each use and flour the rolling pin well also. A 2-1/2 inch cookie cutter will yield approximately 4 dozen cookies. I used a 3 x 2-3/4 inch cookie cutter which yielded 21 cookies.